More than three decades after he closed his last music venue, Mark Morganelli just opened Westchester’s only club dedicated strictly to jazz. #9 – Cooler Music Clubs: “Not naming any names, but there are three fabulous music clubs near Westchester — in Beacon, Pawling, and Piermont — that consistently draw big-name touring talent and charge fair prices. What is Westchester, chopped liver? LoHud and the Journal News published a video and wrote an article about Mark Morganelli and the Jazz Forum. Ben Ginsburg of Dobbs Ferry, a committed jazz fan and high school junior, created this film, highlighting the rise of Jazz Forum Arts and the subsequent Jazz Club. 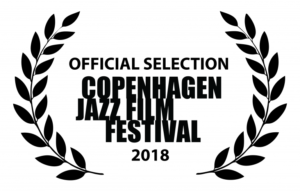 The film was part of the official selection at the 2018 Copenhagen Jazz Film Festival.